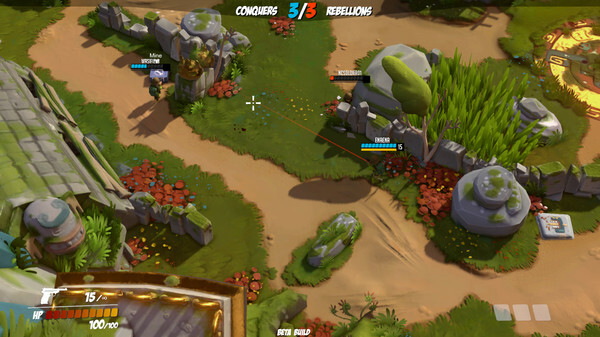 Previously featured on Alpha Beta Gamer three years ago and now nearing a full release, Veterans Online features a Cannon Fodder-esque cartoony military visual style and multiplayer combat with players doing battle in solo or team based matches in different wartorn arenas. The combat is fast paced and arcadey feeling, whilst still retaining a nice amount of tactical depth, with line of sight mechanics, the ability to use cover and the ability to purchase weapons throughout the match with cash you earn. It’s a fun game with fast paced, easily accessible multiplayer combat, a great visual style and a nice amount of depth. Sign up now to join in the run n’ gun fun. To Join in the Veterans Online join the official Discord Group, then enter the #bot-spam channel and type !key. You’ll receive a key immediately with instructions of how to use it (while keys last – be sure to follow the instructions that come with the key). I didn’t receive any newsletters for a while.